Delta Air Lines is using three gates at Atlanta Hartsfield Jackson to try out a multi-faceted program aimed at moving passengers onto the aircraft more quickly. The company said passengers who use gates T1, T2 and T3 at ATL will be the test subjects . 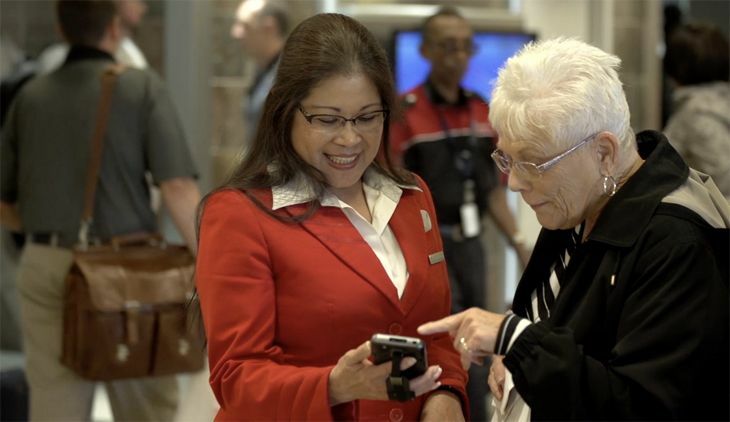 Gate agents will be equipped with handheld devices they can use to handle routine tasks like making seat assignment changes, checking bag status and so on without having to use a computer terminal. Employees will also be using “mobile agent pods” – small podiums that can move around instead of large fixed podiums, creating more space at the gate for passengers. 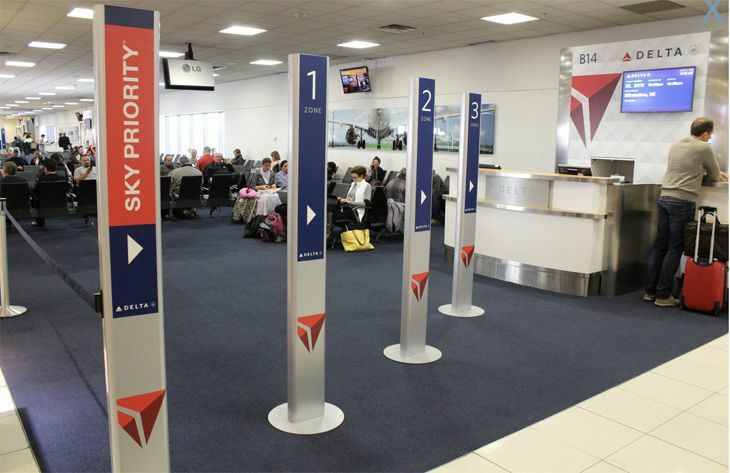 Passengers waiting to board will be organized into four parallel lines by “boarding pillars” that show boarding group numbers – similar to a concept Southwest has been using for years. Delta started deploying the pillars last spring at some ATL B Concourse gates. As they proceed onto the aircraft, passengers will use new e-gates to self-board. Instead of giving a boarding pass to an agent, they simply scan their own boarding pass, whether it’s a paper one or on their smart phone. 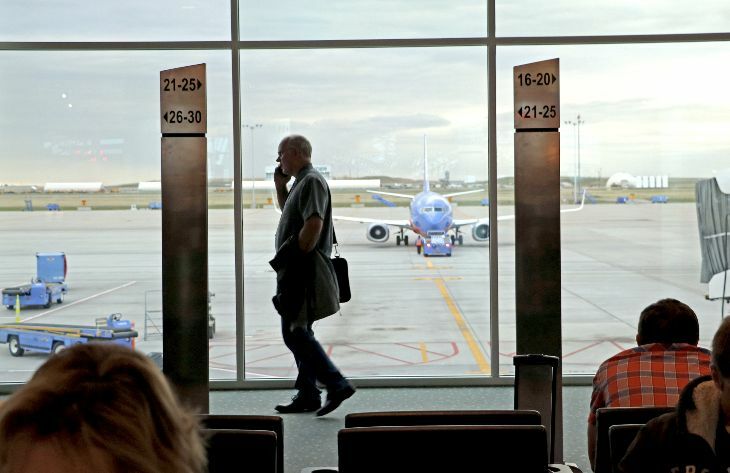 “Later this year, phase two of testing will focus on increased agent mobility, the customer’s digital experience at the gate and how to integrate biometric boarding based on testing under way at Reagan Washington International Airport,” Delta said. That biometric test at DCA lets passengers use a fingerprint instead of a boarding pass to board domestic Delta flights. It is available to persons enrolled in the CLEAR trusted traveler program, which uses fingerprint and iris scan biometrics to let members go directly to security screening. Delta is a part owner of CLEAR.